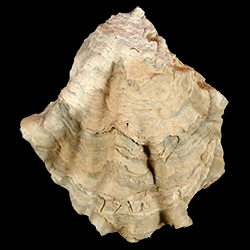 Key morphological features: Shells generally ovate in outline and relatively flat. Left valve slightly convex. Adductor muscle scar is reniform in shape with rounded ends and is generally positioned closer to the center of the shell than in other genera. Umbonal cavity absent in most specimens, but chomata are always present. Chomata are most often few in number and flank both sides of the hinge. Left valve exteriors may have concentric undulations or radial ribs, but ornamentation is less prominent or absent on the right valve. Source: Stenzel, H.B. 1971. Oysters. 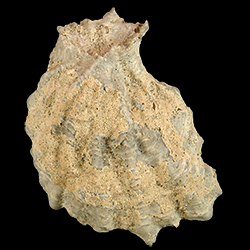 in Cox et al., eds., Treatise on Invertebrate paleontology, Part N, Mollusca 6, Volume 3. The University of Kansas and Geological Society of America. 272 pp. ; Harry, H.W. 1985. 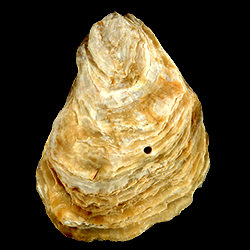 Synopsis of the supraspecific classification of living oysters (Bivalvia: Gryphaeidae and Ostreidae). The Veliger 28(2): 121-158. Geological range: Cretaceous to Recent (source: Stenzel, 1971). Geographic distribution: A distributional map for modern Ostrea may be accessed from OBIS. 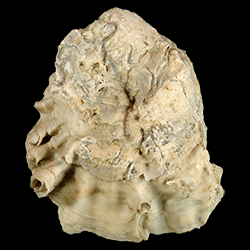 A distributional map for ancient Ostrea may be accessed from the Paleobiology Database. Diversity: There are 15 recognized living species of Ostrea (WoRMS, unvetted). 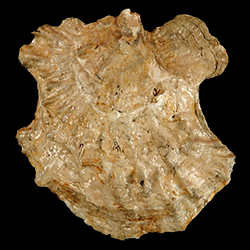 The Paleobiology Database recognizes 402 fossil Ostrea species (unvetted). 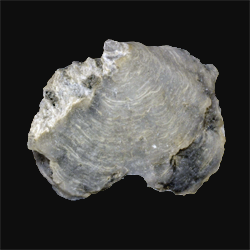 Paleoecology: Ostrea are sessile, filter-feeding bivalves that live permanently attached to hard substrates. 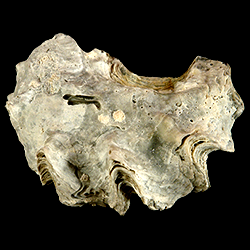 Living Ostrea species generally inhabit euryhaline waters at temperate latitudes and have a worldwide distribution. 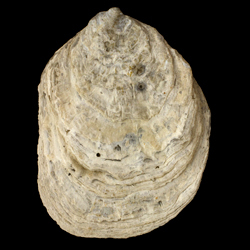 All living Ostrea species are incubatory. Phylogenetic status: Unknown. The recent molecular phylogenetic analysis by Salvi et al. 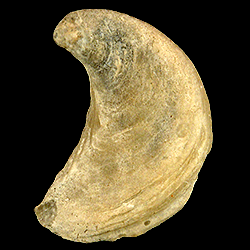 (2014) found that Ostrea is paraphyletic, but also that genetic distances separating some of the other genera (e.g., Cryptostrea) from Ostrea were small and that perhaps all should be grouped under Ostrea. 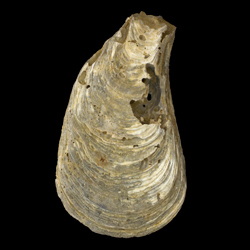 Ultimately, the authors call for further study to determine the taxonomy of Ostrea.